Final revision of the HQ series and the last traditionally-sized Holden until the VN, the HZ range offered RTS and four-wheel disc brakes. RTS made dramatic improvements to handling safety, and combined with other suspension modifications gave the HZ a more sporty, European feel. Four-wheel disc brakes were standard fitment on Statesman and GTS, optional on sedans and wagons Minor styling changes included a revised grille, higher bootlid, upgraded interior trim and improved instrumentation. 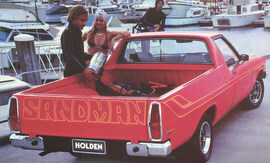 GM-H got it right with this model Holden. Motorists in Australia had become used to fighting understeer on every country road, but the Radial Tuned Suspension system eased the hastle for the bigger Aussie sedan, giving it predictable handling. The exterior, gave little to identify the HZ over the HJ/HX models. 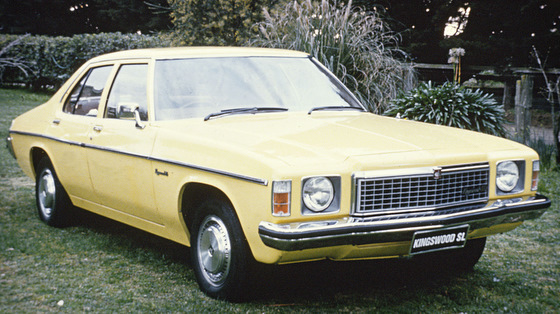 The “Belmont” name was dropped but the “Kingswood” name lived on in the HZ, but the and The “Kingswood SL” was introduced as an upmarket version and offered a much higher luxury level. Added to the “Premier” was standard Tri-Matic auto, tinted side glass, pinstriping and the now familiar quad-headlight configuration. The HZ Monaro GTS was standardised with the 308 5 litre V8, dual exhaust, four-speed manual transmission, tinted glass, full instrumentation, front and rear spoilers and four-wheel disc brakes. Base price when new: $6,377.